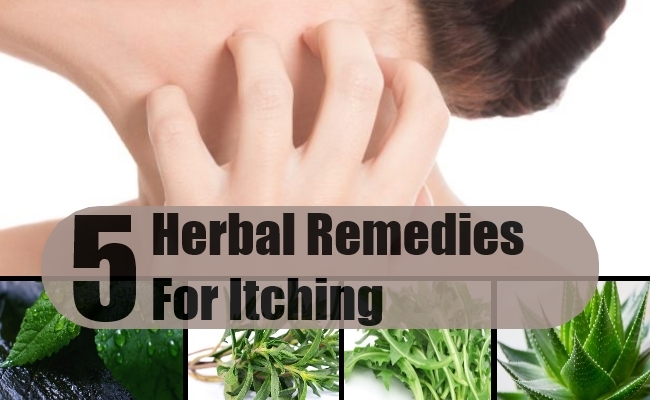 Itching can be caused by a number of reasons such as a dry skin, allergic reactions, insect bites, sunburns, eczema or dermatitis, reaction to chemicals found in soaps and detergents, skin diseases and infections and harsh and dry weather. When the itch is upon us we scratch like crazy to get relief from the urge but this relief is only momentary. Excessive scratching can injure and break the skin and leave it open to infections. 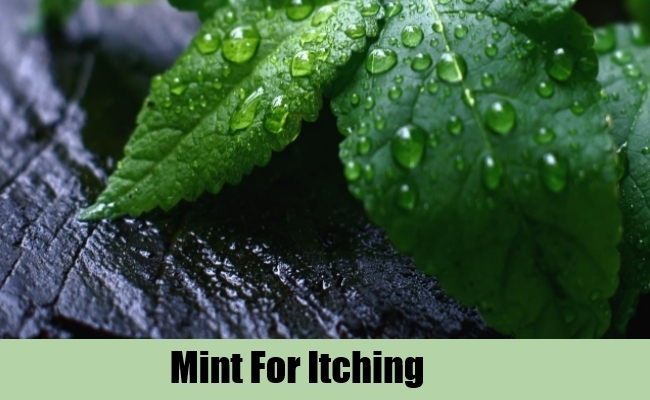 Itching also known as pruritus arises when some part of the skin is bugged by stimuli. It is the body’s built-in defense mechanism that warns us of alien irritants. An itch can be mildly annoying or intensely aggravating which can be very damaging, disruptive and can deprive one of sleep and peace. To relieve the discomfort and soreness there are several home remedies that will bring instant relief. Pudina or mint is a valuable herb which has powerful medicinal values that are greatly useful to an ailing body. Pudina is rich in menthol which has potent anti-inflammatory and anesthetic properties. It is also high in rosmarinic acid which has a vast soothing and cooling effect on the skin. Grind some fresh mint leaves to a fine paste. Mix the paste in some cold water. Take a cotton wad and dip it into the solution. Swab the itchy area with this solution whenever required. Tulsi provides the body with many health giving benefits. It is a physical as well as a spiritual healer which cures and heals a wide range of diseases and ailments. It brings great relief in the itching because of its high content of eugenol which is a powerful antiseptic and anti-inflammatory agent. Bruise ten to fifteen tulsi leaves and boil them in half a litre of water for two minutes. Cool the solution and dip a clean thin cloth into it and apply to the itchy skin as often as you want. 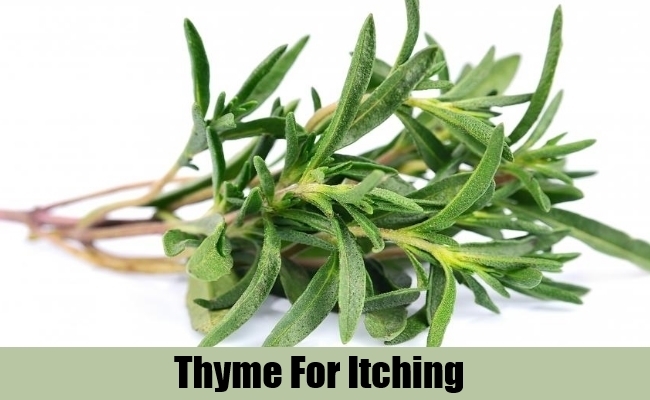 This fragrant herb is rich in thymol which has potent anesthetic and anti-inflammatory properties which not only relive the itching but also soothe the inflamed and irritated skin instantly. Boil half a litre of water and steep one heaped tablespoon of dried thyme into it for half an hour. Cool the tea then strain it. Dip a clean cloth into it and swab all the itchy areas frequently. 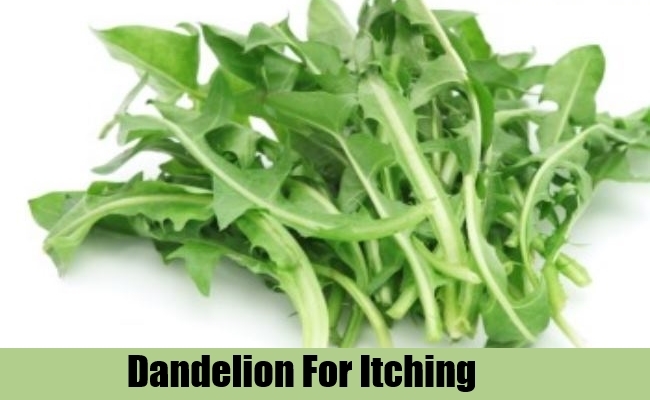 This wild herb which grows in every garden has innumerable healing and curing powers. It has vast antioxidant and anti-inflammtory properties that alleviate the itching by drawing out the harmful irritant from the skin. It also soothes the inflamed skin and heals the broken skin. Boil some dandelion root in water. Allow the solution to cool then strain it and swab the all the itchy areas with this solution. This herbal plant is renowned for its magical healing and curing powers. It cures almost every disease and ailment and keeps the body strong and healthy. 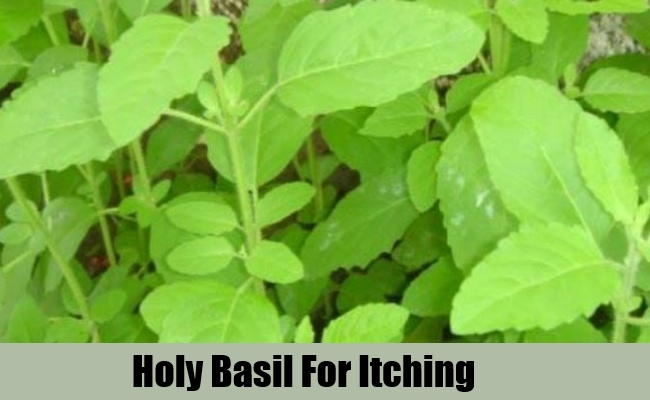 Its powerful anti-inflammtory and soothing properties bring great relief in the itching and burning. 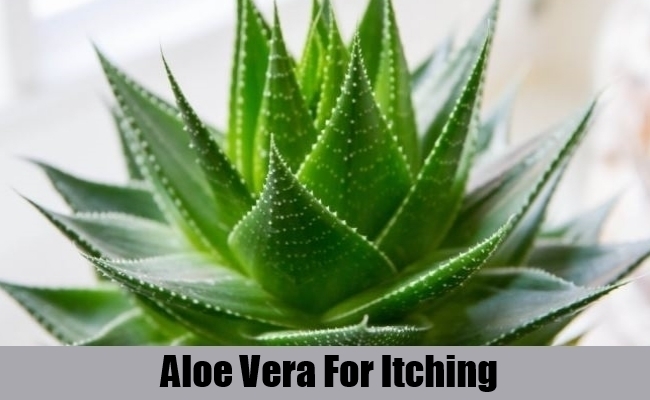 Slice an aloe leaf in the middle and rub the cool sap on the itchy skin for ten minutes.